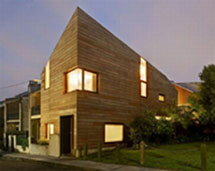 Shape of house and high or low extension from different corners manifests varying effects on occupants of house. Sometimes homes are being purchased without making comprehensive steps which have good and bad effects on people residing in that plot. Most common irregular shapes of home are L-shaped, T-point and intersecting point though they are inauspicious but rectification with Vastu tools and recommendation subside negative effects. Plots in which there have been cases like Suicide or murder must be avoided. Avoid taking plots that has been sold in stress or anxiety. Avoid plots near or adjacent to temple, hospital, factory, school or college etc. Plots like L-shape and facing T-point or Y-intersection of roads should not purchased. East—North-east: If the road is coming from East and towards hitting the North-east of site then it is a good plot to be purchased. North—North-east: If the road is directly coming from North towards the North-east of plot then it is considered good. West—North-west: When the road that comes from West towards the North-west part of site then it is considered average. South— South-east: When the road comes from South and hits the part of plot from South-east then the site is average. East—South-east: If the road is coming from East towards hitting the South-east part of site then it is considered a bad site. North—North-west: If the road is coming from North and going towards hitting the North-west part of plot then it is bad site. West—South-west: If the road is coming from West and going towards hitting the South-west portion of plot then it is very poor site. South—South-west: If the road coming from South hits the portion of South-west then it is also considered very poor site.